8 More Kids Home Forever! We are so delighted to announce that EIGHT kiddos from our China adoption program have recently joined their new Forever Families! While some of these kids have already had the opportunity to meet their families by participating in our Orphan Hosting program, others have just met their families for the very first time! This is a moment that many of these children have been waiting years for, and we are so incredibly happy that their special day has come. Congratulations to each of these children and their new families from all of us at GWCA and CAN! 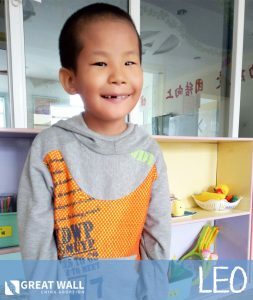 GWCA’s China matching specialists are currently advocating for over 50 other Waiting children to find their Forever Families. If your family is interested in learning more about the China adoption process, or how you can begin your adoption journey, contact GWCA today at (512)323-9595 or at info@gwca.org.